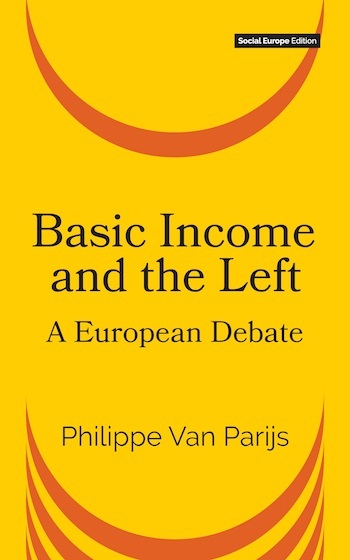 The Unconditional Basic Income (UBI) is one of the most hotly debated ideas of recent years on the left – and, indeed, right. The potential threat to millions of current jobs posed by robotization and artificial intelligence combined with the rise of inequality has contributed to making it a core element of the continuing post-crisis discussions on what it means to be on the left, or a social democrat, today and in the future. Is an unconditional basic income without means-test or work-test compatible with social justice and individual self-worth? Does it open up the space for an end to demeaning labour and a resurgence of voluntary work and cultural life? Is it affordable? This collection of short but compelling essays, all previously published in Social Europe, allows both proponents and opponents to make their case and is designed to extend this vital discussion to a wider audience. We are proud to have spearheaded the debate on an issue that is of vital and enduring importance for Europe and beyond. If you buy directly from Social Europe you will get the book in PDF, ePub and Mobi versions. Philippe Van Parijs: The Worldwide March To Basic Income – Thank You Switzerland!